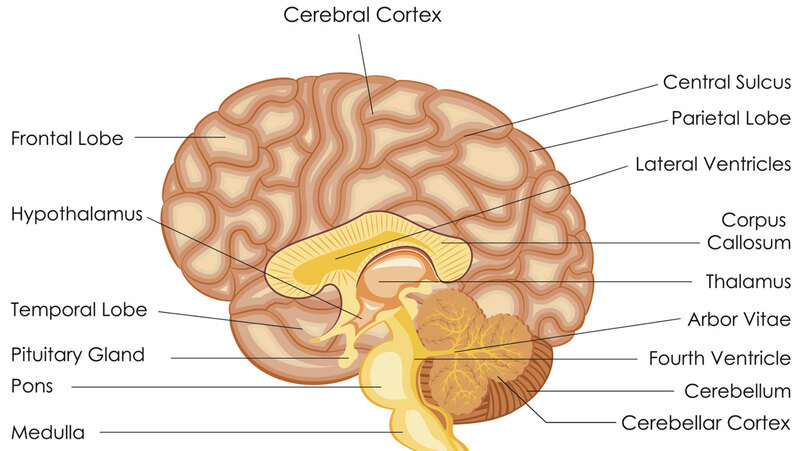 The cerebral cortex is the outer layer of neurons or "bark" covering the brain. Considered the seat of the mind, it is where cognition and other higher-order functions such as language, intellect, and memory take place. The cortex can be divided into four lobes, each comprised of areas that are associated with specific functions.